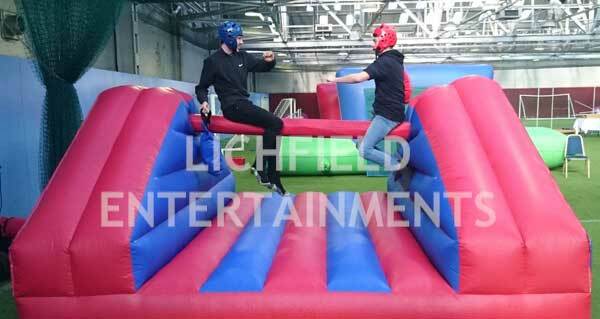 Pillow Bash is another of our great jousting type games where the two players sit on the horizontal pole and try and knock their opponent off using the bash pillow onto the soft inflatable below. Great fun for ages 7 - adult. Ideal for fetes, parties, fundays, etc. This item requires an overall operating area of 18x18ft with a height clearance of 11ft if indoors.